If you plan to later update your vSphere environment to a newer release then you will already have the newer and compatible VMware Tools in place, and you save the effort of updating them again. For some guest OSs (Windows Vista and newer) the VMware Tools of vSphere 5.1 can be updated without a reboot. This should work for recent Windows versions (starting with Vista) and also when running the Tools 5.1 on earlier releases of ESX(i)! 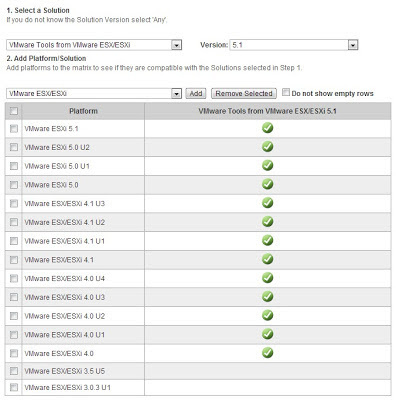 How do you update the VMware Tools without updating vSphere/ESXi? The key to the answer is in KB2004018: VMware Tools for hosts provisioned with Auto Deploy. It describes a method for setting up a shared VMware Tools repository for multiple hosts (instead of installing the Tools on each of the hosts). This is primarily meant for hosts that are provisioned through Auto Deploy: When using Auto Deploy the hosts use PXE boot to load the complete ESXi system via the network from a boot server. Leaving out the VMware Tools from this boot process saves a lot of network traffic and significantly reduces the time to boot. Here you will find exactly one or two versions of the tools-light VIB file. If there are two versions (like in this example) that means that one of them (the one with the lower build number) only includes the latest security fixes and the other one (with the higher build number) includes both security and bug fixes. Now create a new empty directory (I will call it vmware-tools in our example) on your hard disk and extract all three directories shown here into this directory. In your vSphere environment choose a datastore that is accessible to all hosts. I recommend utilizing an NFS datastore for this, because it does not have any of the sharing and file locking limits of VMFS (on FC or iSCSI). An NFS datastore can be safely shared among all hosts of all clusters or even multiple vSphere datacenters. This is now your VMware Tools Shared Repository. If you are using Host Profiles to configure your hosts you should just add this setting there. Finally, in KB1038578 you can learn about ways to automate and industrialize this change through PowerCLI or esxcli. 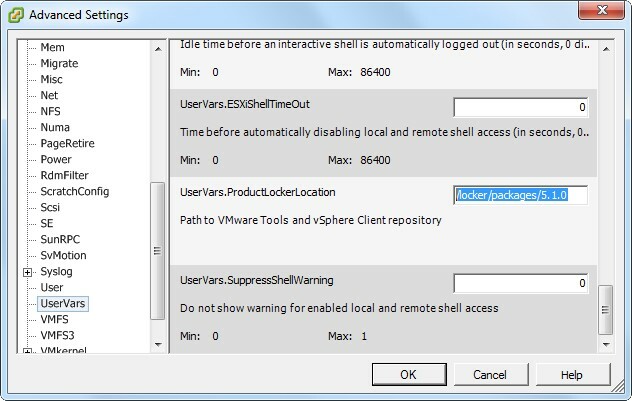 The default value for this variable is /locker/packages/<ESXi-Version> (ESXi-Version = 5.1.0, 5.0.0, 4.1.0 or 4.0.0). Change it to the shared datastore directory that you created in step 2. In our example this would be /vmfs/volumes/FalconStor01/vmware-tools (with FalconStor01 being the name of the datastore). 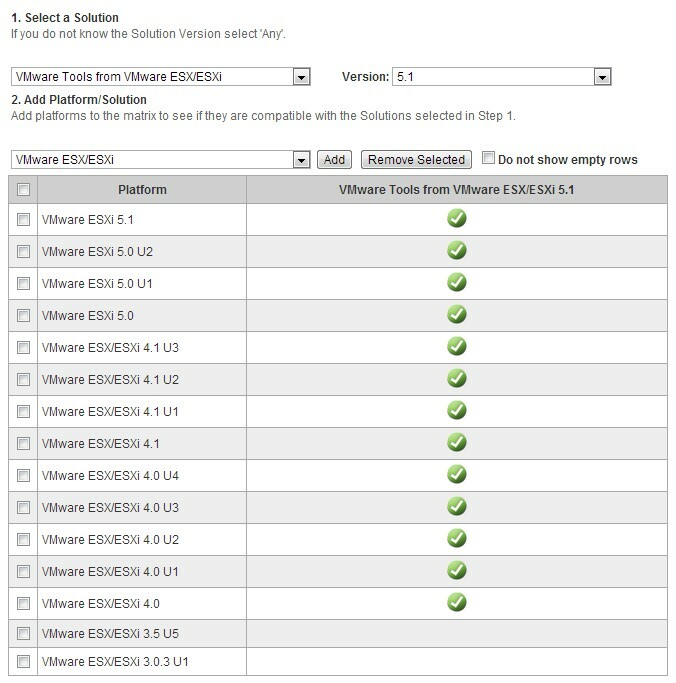 Once you have completed these steps ESXi will connect the ISO files from the new location to a VM whenever you choose the Install/Upgrade VMware Tools option from its console's menu. This also applies to other and more automated methods to deploy VMware Tools like Update Manager or PowerCLI (see KB2004754 for details). I personally think that using a shared repository is a great way to handle the VMware Tools deployment, even if you do not want to stay on an earlier vSphere release while using the latest available Tools. If you ever want to update the Tools later then you just need to repeat steps 1 and 2, and you have the job done for all your hosts at once without touching any of them! THANK YOU! This is exactly the information I needed. WOW fantastic write up! For some reason my /locker/packages/5.1.0 folder was missing, which was causing vmtools installs to fail. This ended up being a perfect workaround. Thank you so much! 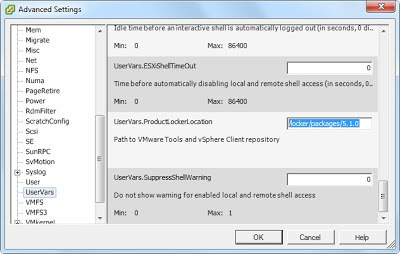 So you can have latest tools without fiddling with the tools from the esxi install.